Have you ever wished your notation program could do a better job of interpreting your MIDI input? Have you spent hours tweaking your scores to reflect what you really intended? Did you know there's a much faster, more accurate, and better way to transcribe your music? ScoreCleaner is an amazing software tool that accurately interprets and transcribes your performances into beautifully precise scores while you play! Even if you play badly, ScoreCleaner will dictate your score with surprising accuracy. With ScoreCleaner, you don’t need to preset the time signature or tempo, or play to a click track. ScoreCleaner is built on academic research in music cognition, which seeks to explain how humans understand music on a basic level. From that research we’ve designed software that understands musical phrasing. That’s why ScoreCleaner, among many other things, can analyze which time signature and key you’re playing without your having to tell it in advance. When you play multiple voices, ScoreCleaner notates each voice individually. Because the software understands musical phrases, it can analyze and notate separately what is the lead voice, second voice and bass line even when you play them simultaneously. On top of that you can add an unlimited number of voices as you arrange your piece. With ScoreCleaner it's easy to move things around. Overdub and edit as you go. In ScoreCleaner you can easily change the time signature, key, tempo, note values, etc. Using the simple icon-based menu, or with drag and drop, you can also change where you want your upbeat to be, switch to triplet subdivision, or decide on the placement of your first bar. Unhappy with a phrase in the middle of a song? Replay and overdub either the entire phrase or beat by beat, in the tempo of your choice. 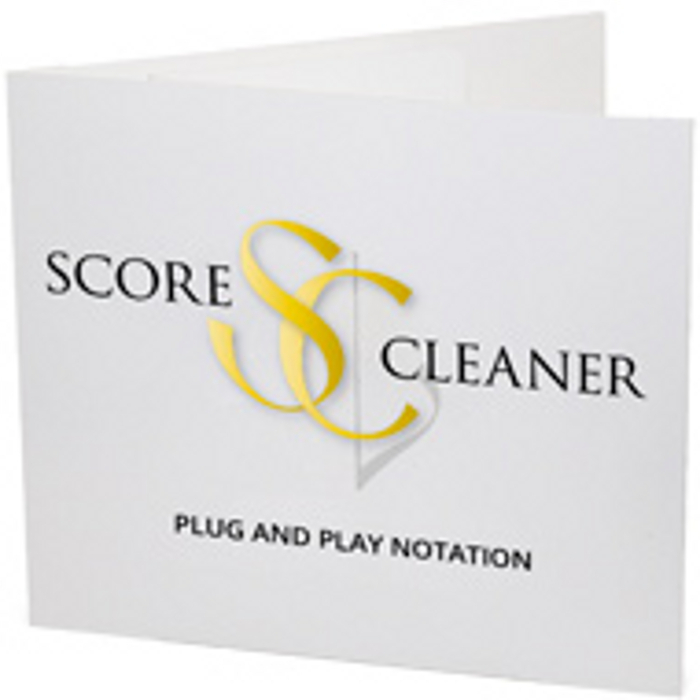 Swing timing, compound time signatures, rubato – ScoreCleaner understands your scoring style. ScoreCleaner wants you to be your musical, natural self. The more organic your playing, the easier it is for the software to interpret and notate your music. Go ahead, do tempo changes, rubato or swing. ScoreCleaner understands and notates it the way you play it. Tempo, Time Signature and Quantization are inferred automatically, from your un-quantized MIDI performance. Beat-by-beat recording in free tempo – "step-time recording"
Time, rhythm, and beat-mapping, including simple change of time signature, time numerator, timme denominator (note values), separate division of beats and pulse density. Local change of Time Signature, Key Signature, Clefs, etc. Simple and fast printing functionality including basic score information, such as Title, Composer, etc. 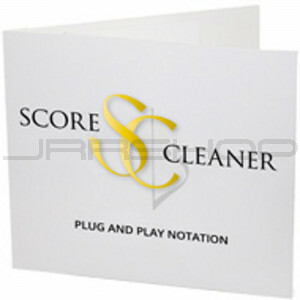 ScoreCleaner is for anyone who writes or arranges music, prepares scores for live performance, students and teachers. Once you try ScoreCleaner, you'll be amazed at how fast and intelligent it is at transcribing your performance!